Our guide to Brooklyn will help you find the best green spots in Brooklyn New York. There are tons of great green spots in the city of Brooklyn, our city guide will help you find the best green spots. You may have a hard time deciding what to do in Brooklyn, but we make your decision easy. 117 Lee Ave, (718) 388-0493 - Health Hut Vitamins Natural is a green food / grocery store located in Brooklyn NY. 1275 74th St, (718) 491-9602 - A & A Organic Gardens is a green food / grocery store located in Brooklyn NY. 1302 8th Ave, (718) 499-8539 - Pumpkin’s Organic Market is a green food / grocery store located in Brooklyn NY. 142 7th Ave, (718) 768-5654 - Back To the Land Natural Foods is a green food / grocery store located in Brooklyn NY. 175 Remsen St, (718) 855-6068 - Since 1976 Perelandra has been providing the largest variety and best selection of natural and organic foods in Brooklyn. 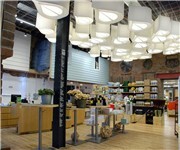 230 Dekalb Ave, (718) 398-6900 - Dekalb Natural Market is a green food / grocery store located in Brooklyn NY. 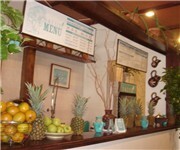 236 N 12th St, (718) 388-9444 - Urban Rustic Grocery & Cafe is a green food / grocery store located in Brooklyn NY. 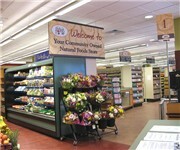 253 Flatbush Ave, (718) 230-7094 - New York Naturals is a green food / grocery store located in Brooklyn NY. 350 Ct St, (718) 802-1652 - Park Natural & Organic Food is a green food / grocery store located in Brooklyn NY. 431 Myrtle Ave, (718) 522-9753 - Karrot is a green food / grocery store located in Brooklyn NY. 5020 16th Ave, (718) 853-5921 - Natural Spot is a green food / grocery store located in Brooklyn NY. 51 Willoughby St, (718) 834-1215 - Downtown Natural Market is a green food / grocery store located in Brooklyn NY. 5203 13th Ave, (718) 851-6760 - Boro Park Health Food Center is a green food / grocery store located in Brooklyn NY. 5378 Kings Hwy, (718) 451-2828 - Organic Direct is a green food / grocery store located in Brooklyn NY. 558 Halsey St, (718) 928-7484 - Jamal & Prince Organic Food is a green food / grocery store located in Brooklyn NY. 671 Manhattan Ave, (718) 389-2596 - Natural Vitamins is a green food / grocery store located in Brooklyn NY. 776 Nostrand Ave, (718) 773-4649 - Nature's Organic Natural Foods is a green food / grocery store located in Brooklyn NY. 7911 3rd Ave, (718) 745-5776 - Appletree Natural Market is a green food / grocery store located in Brooklyn NY. 1308 Ave H, (347) 295-1191 - A Latin take on organic. 56 5th Ave, (718) 636-4385 - Alchemy is a green restaurant located in Brooklyn NY. 687 Washington Ave, (718) 975-0304 - Rawstar is a green restaurant located in Brooklyn NY. 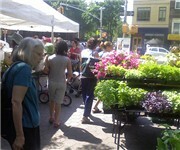 2144 86th St, (718) 996-9698 - 3rd Av Farmers Market is a green farmers market located in Brooklyn NY. 2949 Fulton St, (718) 348-5342 - Young's Fulton Farmers Market is a green farmers market located in Brooklyn NY. 2961 Ave u, (718) 648-6205 - Avenue U Farmers Market is a green farmers market located in Brooklyn NY. 2961 Ave u, (347) 673-7180 - Marine Park Farmers Market is a green farmers market located in Brooklyn NY. 719 New Lots Ave, (718) 975-1059 - Blacksheep Farmers Market is a green farmers market located in Brooklyn NY. 1415 Cortelyou Rd, (718) 284-9717 - A Flatbush Food Cooperative is a green cosmetic / beauty store located in Brooklyn NY. 911 Manhattan Ave, (718) 383-7822 - Chopin Chemists is a green cosmetic / beauty store located in Brooklyn NY. 20 Rewe St, (718) 782-2991 - Green Depot is a green store located in Brooklyn NY. 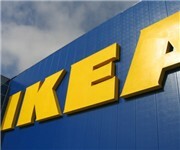 688 Washington Ave, (347) 750-5870 - Natural and eco-friendly products including: baby, garden, home, pets, body. 75 Freeman St, (718) 218-6737 - Bettencourt Green Building Supplies is a green store located in Brooklyn NY. There are plenty more green spots in Brooklyn. See all green spots in Brooklyn New York.